This new two-wheel-drive variant shaves about $25,000 off the R8 V10's price tag and 110 pounds off its weight. 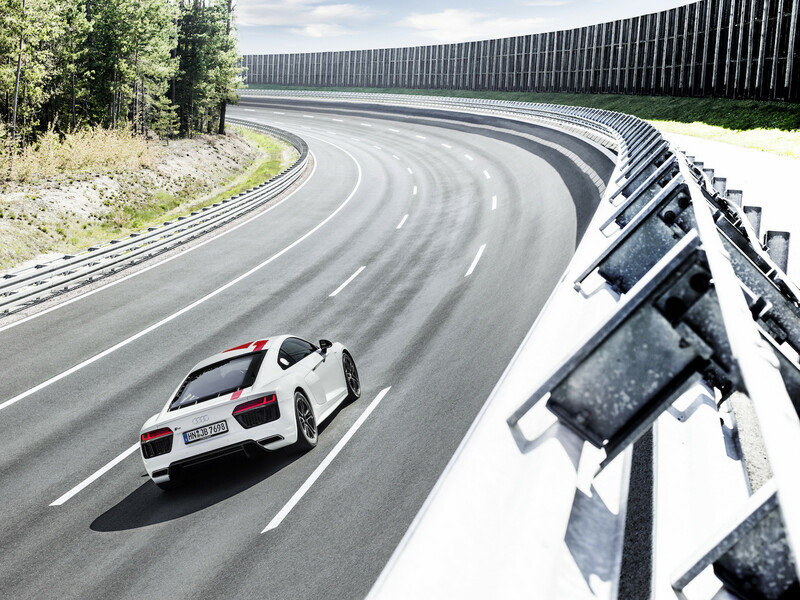 Last September, Audi debuted the new R8 V10 RWS at the Frankfurt Motor Show, the first variant of the brand's halo car without quattro all-wheel drive. Stephan Winkelmann, the Audi Sport's boss at the time, touted the RWS as a supercar built specifically for purists, and now we have a price for this rear-wheel-drive monster. According to MotorTrend, the 2018 R8 V10 RWS will cost $139,950 (including destination fees), saving buyers a sizable chunk of cash compared to the standard all-wheel drive R8 V10's $164,900 retail price. Audi still won't say when this cheaper model will come out, but it will arrive sometime this year. 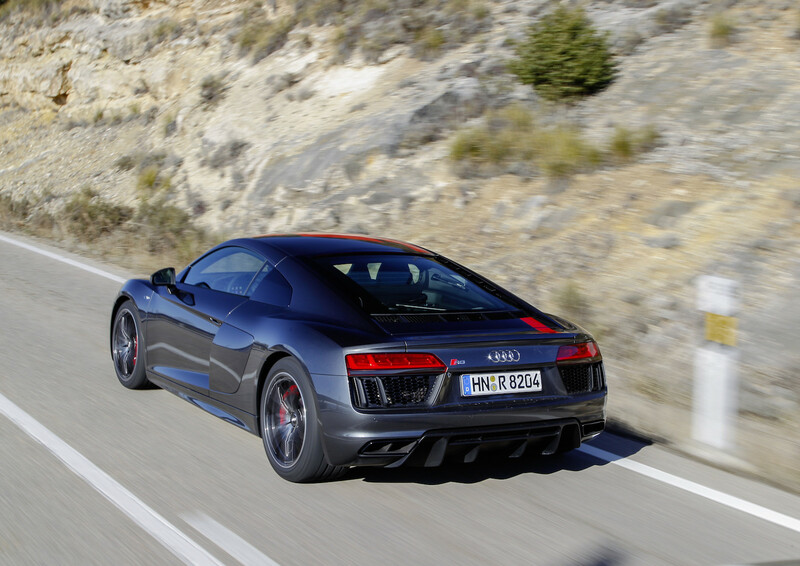 For the same price as a Porsche 911 Targa 4 GTS, the Audi R8 V10 RWS features a 5.2-liter V-10 pumping out 540 horsepower mated to a seven-speed S Tronic dual-clutch transmission. It accelerates to 62 mph in 3.7 seconds, only a few milliseconds slower than the all-wheel drive version. Weighing in at 3,505 pounds unloaded, the R8 RWS also sheds 110 pounds from the standard R8 and receives stiffer front anti-roll bars. We know what you're wondering–– if this car is meant to be the purist variant we've always wanted, why does it have a dual-clutch gearbox and not that silky smooth gated manual transmission that made older R8s so desirable? Audi told us that demand plays the most important factor, but the brand also wants the R8 RWS to share as many features as possible with the regular R8 V10. 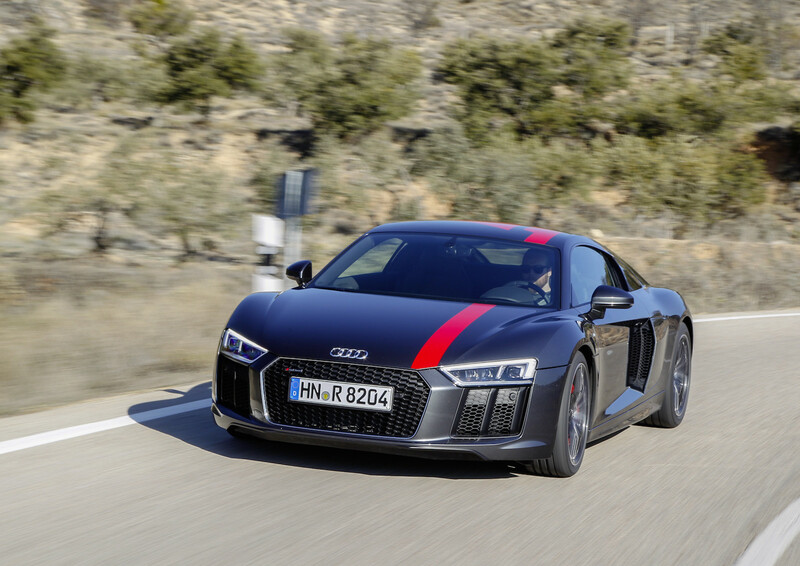 "The RWS is the closest thing to the race car, for the road, sharing nearly 60 percent of its parts with the GT4 race car," explained Amelia Fine-Morrison, Product Communications Manager for Audi of America. "While representing the price entry for the model line, with the exception of the quattro system, it is nearly identical to the V10, including the dual-clutch." 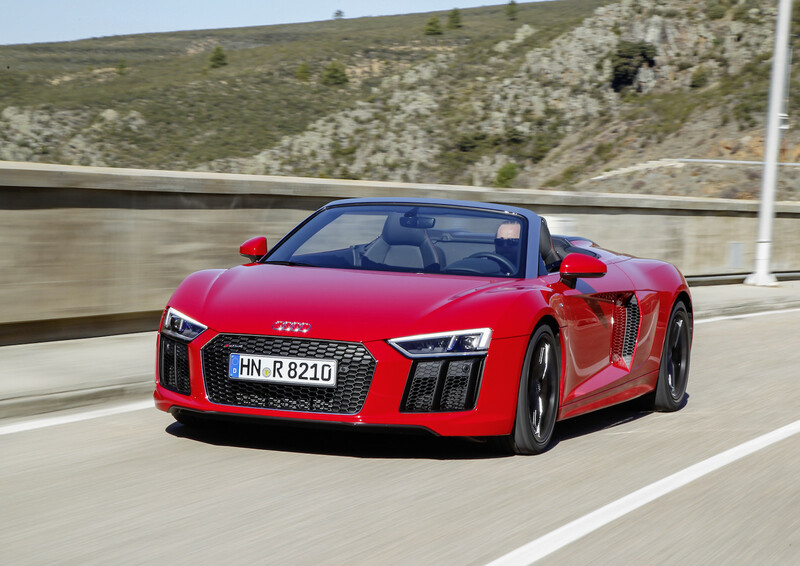 Audi only plans to build 999 of its rear-drive supercars, 320 of which are slated for the U.S. market. 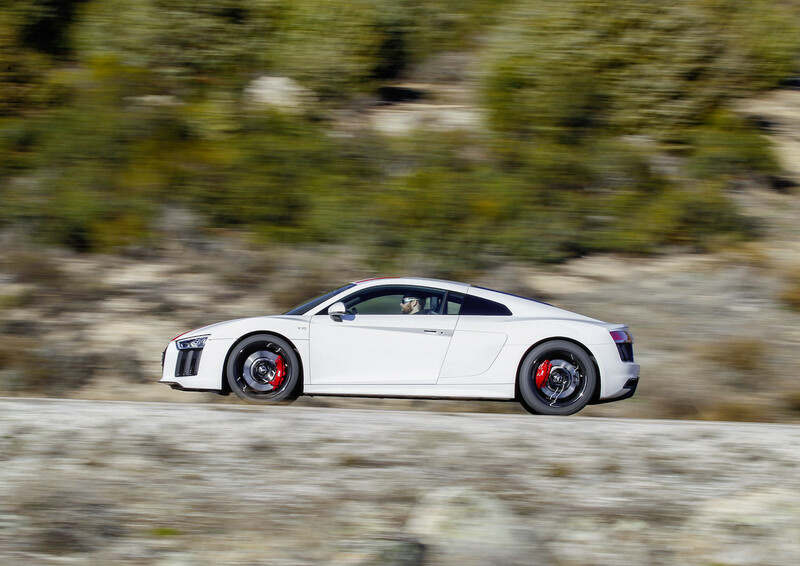 As the R8 RWS is the first car from Audi Sport with rear-wheel drive, Fine-Morrison says that this limited run is a great way to test the market to see if consumers want more two-wheel variants from Audi's performance lineup. Just like the existing V-10, the 2.9-liter V-6 will reportedly come in multiple power configurations. The stunning roadster will sit alongside Audi's greatest race cars at the California event. Available as an option on poverty-spec V10 non-Plus models. Race around COTA like you're in the IMSA Weathertech Championship this week in Audi's hottest sports cars. Don’t sleep on the “bargain-basement” supercar.